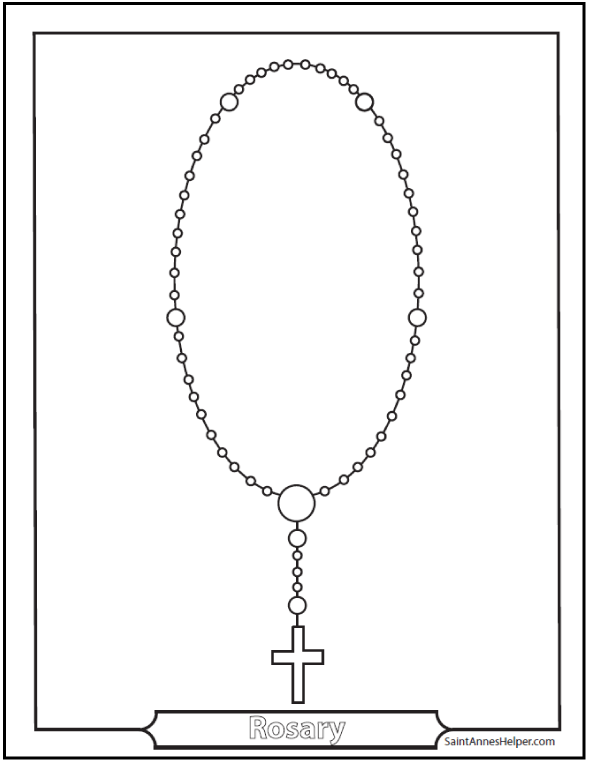 Kids can color this picture of a simple Catholic prayer rosary when you're teaching them to pray the Rosary. They can see that there are fifty-three Hail Mary beads, six Our Father beads, one Crucifix for the Apostles' Creed, and a medal at the end where they can say the Hail Holy Queen. Go to our Rosary diagram page for more charts and prayers. This PDF prints 8.5x11" single sided. Use this Catholic Prayer Rosary picture when teaching how to pray the Rosary.